Fiat Chair John Elkann knows: You can scale a company that lasts 100+ years, if you have the resilience to rise and fall, and rise again. Forget being a unicorn. Learn to be a “Phoenix.” This episode inspired us to honor 10 “Phoenix Companies” we love: Fiat Chrysler Automobiles, Radio Flyer, GE, Levi’s, IBM, Boeing, Nikon, ABC Carpet & Home, Jim Beam & The New York Times. Transcript below. "The companies that scale are the ones that are able to revitalize themselves." "Forget being a unicorn. Learn to be a phoenix." 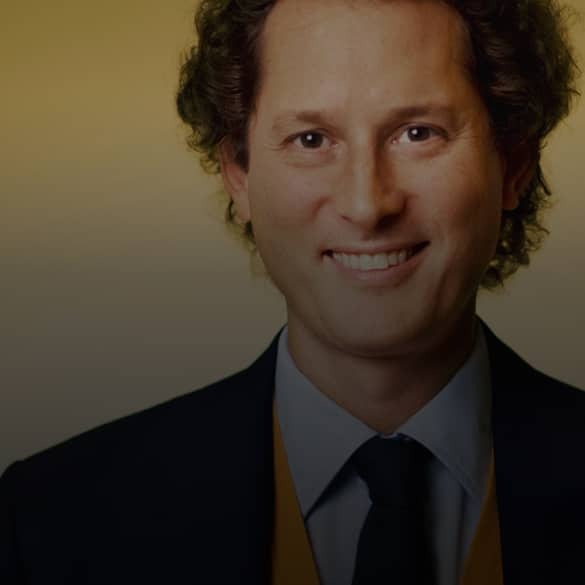 John Elkann is the chairman and CEO of Exor, the investment company managed by the Agnelli family. His great-great grandfather, Giovanni Agnelli, founded Fiat in 1899, and John now chairs the automaker and its brands, including Chrysler, Dodge, Jeep, Maserati, and, of course, Fiat. Robert Pasin is the third-generation CEO of Radio Flyer, the toy manufacturing company that’s been making little red wagons for over a century. After taking over the company in 1997, Robert has brought new products to the company, including a child-sized Tesla model. Paulette Mae Cole is the CEO of ABC Carpet & Home, a standard-bearer in home goods retailing, known for its unmatched curatorial eye. She took over the company from her father, who opened the company in Union Square in the 1960s. Tony Tjan is the CEO and Managing Partner at Cue Ball, a Boston-based venture capital firm. He is also a New York Times bestselling author. ROBERT PASIN: One of the first things he made was a little wagon that he used to haul tools around in the workshop. REID HOFFMAN: That’s Robert Pasin, the CEO of Radio Flyer. He’s talking about his grandfather, Antonio Pasin, who came from a long line of Italian cabinetmakers. He started making little red wagons for his workshop in Chicago — mostly just to cart around tools. But then he noticed: Those wagons were selling better than any of his other products. Like any good entrepreneur…he pivoted. PASIN: Pretty soon, he was out of the furniture business, and in the wagon business. HOFFMAN: From these metal stamped wagons, Antonio grew a family business that remains a heavyweight in toys a full century later. PASIN: We had a year-long celebration of the hundredth anniversary. The capstone event was the big event that we had here in Chicago. We brought the world’s largest wagon down to Michigan Avenue for a birthday celebration. The world’s largest wagon is an exact replica of the original little red wagon, but it’s nine times the size. It weighs 15,000 pounds. The wheels are eight feet in diameter. HOFFMAN: Radio Flyer’s brand is so recognizable that the giant wagon stopped everyone on Michigan Avenue in their tracks. PASIN: We had lots of busy commuters going to work who kind of heads down looking at their phone, and then suddenly they realized they were walking past the world’s largest wagon, and they looked up and smiled, and started laughing, and taking pictures, and texting it to their family and friends, so it was just a day of lots of smiles. HOFFMAN: The thing is: It wasn’t always all smiles for Robert and his company. In fact, the very first year that Robert took the reins, he faced a company in crisis. PASIN: The company had been doing well for 70-plus years, but a lot of things were changing. And we had to change, too, and one of the crisis moments that happened in my first year was that competitors came out with plastic wagons, and we didn’t really see it coming. HOFFMAN: Plastic wagons are an existential threat when your company makes wagons from wood and steel. Those materials were part of Radio Flyer’s heritage and identity. They had defined the company for decades. But time stops for no one, and it brings with it a never-ending parade of new threats. Robert knew that he would have to take a new look at his family’s company — he would have to distinguish between the essential elements that were truly core to the company’s soul, and the traditions that were holding them back. And he would have to do this again and again. Because even the most successful companies face setbacks and stumbles as they inch their way towards a centennial celebration. I’m Reid Hoffman, co-founder of LinkedIn, investor at Greylock and your host, and I believe you can scale a business that lasts a century or more, but you have to learn to rise and fall and rise again. Forget being a Unicorn. Learn to be a phoenix. In my world, we talk a lot about “unicorns”— the startups valued at $1 billion or more. But there’s another measure of exceptional greatness and rarity: A company — let’s call it a “phoenix” — that lasts 100 year or more. And to be THAT kind of company, you have to plan for the long term. You have to build resilience. Like a phoenix, you’ll inevitably soar upward, crash, and then reinvent yourself from your own burning ashes. To be clear, Phoenix companies don’t actually die. But they do suffer the inevitable slings and arrows of outrageous fortune. They last because they demonstrate an extraordinary ability to bounce back. We don’t talk about this much in Silicon Valley, where I’ve spent my career. We tend to champion the pioneers, the inventors who build a crazy idea from scratch, and create their own market as they scale wildly. You might hear founders say they want to build a brand with impact, a brand that endures. But most of them say that as they throw themselves off a cliff and try to build an airplane on the way down. Planning for longevity just isn’t the top priority when the ground is hurtling towards you. In short, that’s the next game, not the first game. And there are almost no founders in Silicon Valley who have any relevant experience in the long game. I would argue Bill Gates is in that game right now, along with Microsoft CEO Satya Nadella. They’re figuring out how you transition from a founder-led company to the leadership that will make Microsoft an enduring institution. But the most iconic companies in tech right now — they’re all still founder-led. Larry Page and Sergey Brin are still leading Google. Jeff Bezos is still running Amazon. Mark Zuckerberg is still leading Facebook. You have to go outside of Silicon Valley to answer that question. Which is why we started the episode with Radio Flyer, in Chicago. But to really understand how companies last 100 years or more, it helps to leave the U.S altogether. So for this episode, I talked at length with John Elkann. John comes from a long line of Italian industrialists who knew a thing or two about manufacturing. His great-great-grandfather, Giovanni Agnelli, founded Fiat, the legendary Italian car company, in 1899. It was initially called a “horseless carriage project.” His grandfather, Gianni, later scaled the company until it single-handedly accounted for nearly five percent of Italy’s GDP. As the fourth-generation leader of an iconic heritage brand, John knows first-hand just how unlikely it is for a company to survive and thrive for this long. He shares some fascinating statistics about the rate of failure among companies as a whole. JOHN ELKANN: First of all, was if you look at the companies in the U.S. from the 1950s, which were listed, it’s really close to 29,000. Of those 29,000 companies, 78 percent today don’t exist anymore. Now, half of those were merged and acquired, but the other half really just ended their existences. If you look at companies who have lasted more than 100 years, it’s 45 companies for one million. And if you look at companies who’ve lasted 200 years, it’s one company out of a billion. So, the likelihood of survival is really very, very low. And to better understand the anomalous phenomenon of this particular century-old company, you have to follow John’s winding path to the executive suite. ELKANN: My family wanted me to study business, and my grandfather and my uncle, was an economics professor and had been in the leading business school in Italy, called Bocconi, and they were very much trying to persuade me. Somehow, I just felt engineering was harder, and that I’d rather do something harder and more complicated and more difficult. I always enjoyed solving problems. I still do enjoy that. HOFFMAN: It’s a good thing John likes solving problems. He was about to be handed one. Fiat Chairman Gianni Agnelli invited John to sit on Fiat’s board of directors. John was only 21 years old. ELKANN: That—that came—that came with a shock. HOFFMAN: John’s grandfather, Gianni Agnelli, was no stranger to dramatic gestures. Esquire Magazine named him one of the five best dressed men in the history of the world. Jackie Kennedy reportedly wanted to marry him. He was charismatic, vivacious and the sort of person who crashes at 120-miles-an-hour into a meat truck in Monte Carlo and lived to tell the tale. So offering a board seat to his soft-spoken 21-year-old grandson was just another ordinary day in Gianni’s life. For John, however, it was life-altering. It also felt eerily familiar. ELKANN: Funnily, that was the same age my grandfather became a director of Fiat, which was asked by his grandfather, who was the founder of Fiat. And we have the same age difference. So, they had 56 years of difference, and I had 56 years of difference with my grandfather. But, it was unexpected and a big shock. One of the great things about John is he knew even at an early age to ask aloud, “Oh my God, how can I learn this?” Which is exactly the right question for a 21-year-old board member to ask. In fact, it’s the question that ensures knowledge gets transmitted from one generation to the next for more than a century. John was welcomed into the board on one condition: He couldn’t conceal his ignorance. His grandfather was insistent: Let it all hang out. ELKANN: The advice my grandfather gave to me was very clear. No one’s expecting you to know or understand or contribute. So, the most important thing is for you to listen. But really, ask questions. And if you don’t understand, that is absolutely normal. And in parallel to that, he organized for me to start working, spending time in the accounting department, in the finance department, in the legal department, just to learn the basic duties of a director. And I got incredible teachers and was very, very fortunate to go through that apprenticeship. HOFFMAN: So this young apprentice now had a first-rate education in all things accounting. But he wanted to drill even further down into the company. He wanted to know how everything actually got made. ELKANN: I’ve always enjoyed being able to be close to where things happen. And the experience I had the opportunity to have as an intern in the headlamp factory in the suburbs of Birmingham was really about understanding how a manufacturing process worked. HOFFMAN: Forget Fiat’s headquarters. Forget the assembly lines with those big robotic arms. John wanted to make a headlight — or a “headlamp” as they say in England — for a very specific reason. ELKANN: And the reason why it was very compelling is because it was a supplier to Japanese car manufacturers, which have been leading edge in quality and quality through how they organize their manufacturing processes. And we were a supplier of Toyota, which is famous for the Toyota production system. And so, I was able to really participate in understanding from inputs of materials to the finished product, which was a headlamp, working to Toyota’s standards. HOFFMAN: Turns out, John was in exactly the right place at the right time to understand manufacturing at its deepest level — at a cellular level. His apprenticeship culminated in an insight that was critical to Fiat’s survival. He noticed a persistent gap between what happens on the factory floor of, say, a headlight plant in Birmingham, and what information filters up to headquarters. ELKANN: You are quite far away in a board setting from where the actual life of the business is happening, and how that information gets distilled, and the way it gets filtered through an organization. HOFFMAN: So how does information filter through an organization? That depends on the organization’s size. Startups have it easy. The whole founding team sits in one room together. They’re all talking together. They’re all having dinner together and so forth. Then you get big enough to create a common infrastructure where newcomers can search for information from one big data dump that’s passing for a company archive — maybe it’s a general Slack channel or a shared Microsoft OneDrive. Then as you get to the next level of scale, you have to start pushing information. So you actually have to start holding team meetings and broadcasting your decisions from the top and getting intentional about what you broadcast. Then you have to go beyond the team meetings, and create a dedicated channel of communication for each team. You’re broadcasting information to select groups of people. In addition to that, you’re gleaning selected information from them. You’re trying to form a heat map for the company. And you’re constantly asking yourself: What are the burning questions? What haven’t I asked? In short, information doesn’t naturally flow to the majority of people, including the people at the top. The bigger the organization gets, the more vigilantly you have to know how and where the information flows, and whether you’ve been left out of the loop. It’s lucky John had a natural curiosity in this sort of information theory of the organization, because he would soon have to pressure-test Fiat’s entire system of communication on his own. At age 29, he still considered himself an apprentice. His family, on the other hand, gave him a sudden and unexpected promotion. ELKANN: And as I was doing the apprenticeship, sadly, my grandfather started to not be well. And the business also was in difficulties. So, I quit my job, and in 2002, I came back to Turin to be close to him, to be close to the business. And he passed away in 2003. And then my great-uncle, his younger brother, who was his successor, passed away in 2004. And so, the historical family leaders, within a year, passed away. And I ended up, despite being very young, to be within the family the person closest to the business. And so, that’s how I became, at a very young age, responsible for it, which was really a combination of being the more involved, and also, sadly, because there was really nobody else. HOFFMAN: I often compare starting a company to jumping off a cliff and assembling the plane on the way down. And you might think that John, as heir to a multi-billion dollar company, has it far easier than a startup founder. He gets the plane fully assembled. All he has to do is keep it at cruising altitude. But here’s the thing — I know how to build a plane from scratch. I thrive on that adrenaline rush. I wouldn’t be too thrilled if I was force-marched into the cockpit of an aging 747 and told to fly, while seeing every warning light flashing red. My instinct would be to grab a parachute, jump and build a new plane. John, on the other hand, has no escape plan. ELKANN: It got very dark. It got very dark. That first year and a half was terrible. The company was doing badly. It had a lot of debt. And we were mainly indebted with commercial banks, Italian commercial banks, which were worried about the instability that the lack of leadership had. We had changed four CEOs from 2002 to 2004. And the last CEO, when my great-uncle passed away, wanted to do a deal with the banks diluting us, and in effect, taking control of the company. So, the first thing I had to deal with was really to face that. HOFFMAN: How do you face that? First, you need a founding team that’s prepared for evasive maneuvers. ELKANN: Luckily, our family was very strongly committed to the business and had no intentions of being taken out. HOFFMAN: This commitment to the business — to finding a solution and doing whatever it takes to navigate your way through — That commitment is hard to measure as an organizational attribute. But it’s essential for any company that wants to go the distance. You will rise, and you will inevitably fall. Things may get ugly along the way. And if you’re going to rise again, you need this commitment. And it’s one of the unique advantages of a family-run company. Success and failure are personal. It’s both a law of physics and a law of business. What goes up, must eventually come down. And when you’re in a deep downturn, and you intend to rise again, you’re going to need a specific kind of person on your side. Nearly every great turnaround story begins with the same heroic figure: the truth teller. ELKANN: We were very lucky that Sergio Marchionne, who was running one of the businesses we owned, agreed to come in and join the company as the CEO. Convincing Sergio after a very long night that we had, and many grappas, of coming and joining the company. And that really allowed us to go through a completely new start. HOFFMAN: Well, how did—how did you know that Sergio—you’re young. You must have an instinct for these things. But how did you know Sergio was the right guy? And then, in addition to lots of grappas and a very long night, how did you decide to go into this battle together? ELKANN: So, Sergio had run SGS, which is a company we owned, and had been very successful in turning it around. Prior to that, he had run Alusuisse, which was a conglomerate that he had turned around. So he had very successful experiences in turning around complex organizations. Secondly, Sergio was a truth-teller. And for the amount of problems we had, having someone who was a truth-teller was a breath of fresh air. His aptitude in being very honest really led to the extraordinary turnaround from 2004 to 2008 that Fiat went through. And I think the grappas helped convincing him. HOFFMAN: In grappas, veritas. And Sergio almost embodies the archetype running through every great story of a company turnaround. But this figure isn’t required in turnarounds alone. In fact, any key executive who’s grown a startup to massive scale must be, by nature, a truth teller. Your organization cannot adapt and cannot survive for long unless you have a truth teller at the top. Mark Zuckerberg, for example, is a truth teller. That doesn’t mean he reveals secrets to the wider public, but he is a consummate truth teller to the people around him. And that executive team must also tell the truth to the people around them, and so on, up and down the chain of command. Hard truths should fly like an electric charge through the organization. And Sergio hit Fiat like a defibrillator. ELKANN: Sergio has always been someone who likes challenges, and also has a profound dislike of situations which are not working well. When things don’t go well in organizations, it’s quite revealing in how people behave. And what is incredible is the amount of abuse you have. I mean, how much money we ended up spending in consultants, in investment banks, in lawyers. Fiat by then was definitely very dysfunctional. HOFFMAN: To root out the dysfunction, Fiat first had to sever its relationships with the banks. So who would finance the company instead? John convinced his family to reach into their own pockets — and fund his turnaround plan. It was risky, to be sure. But the family didn’t hesitate to put their savings on the line. ELKANN: As a family in 2005, investing a big chunk of money in the company as bank loans were converted into equity, and to make sure that the company would stabilize. That’s really when we realized that the company was viable, that it had a great leader. And we committed putting a big chunk of our money into it. HOFFMAN: Usually hairpin turns like this are delayed by turf wars, fights in the boardroom, activist shareholders circling in and calling everyone morons. And I had thought if you add family to the mix — you have a downright combustible situation. On the contrary, John tells me, family is precisely the reason Fiat was able to make such a daring maneuver. ELKANN: I think it was very straightforward, Reid, because the older generations ultimately had the moral authority. Subsequent to those years, we organize ourselves as a family in what I think is an effective way, where we have family members who are responsible, and these family members meet a couple times a year. And then we have a broader family meeting once a year. And we’ve made sure that communication is very clear. And then within the companies, we’ve made sure that we have very good directors. And that has so far worked very well. HOFFMAN: As John explained how his family came together to back this move, it occurred to me that the presence of these family members, holding moral authority, can be a real strategic advantage. It can provide you the certainty and believability you need to navigate a perilous shift, and allow you to rise again. There’s an interesting corollary in startup culture. You’ll find a widespread preference among investors in Silicon Valley for any startup that’s founder-led — with the same CEO at the top, from the first hire onward. And you might mistake this for some vague, almost mystical belief that the CEO embodies the DNA of the organization. Not quite. In fact, the CEO has a duty to set a strong culture that scales with the organization. You never want the culture encoded in only one person’s head. The real benefit of having the founder stick around is their ability to take a big risk — to say, “We must take this risk. We must adapt to the future. We can’t just preserve what we’ve built.” And not just say it, but have the whole company believe in it, and rally to their cause. The willingness to take that risk and the moral authority to drive it, is actually quite hard to replace once the founder steps down. And that’s why I find Fiat’s family-run business so fascinating. The family, in a sense, reflects the authority of the founder down through the generations. They’ve solved what Silicon Valley’s iconic companies are only now just beginning to figure out — how to create the long-term moral backbone of an organization that will naturally tend to grow big and complacent with its traditions. And so the existence of the managing family may be one the keys to becoming a phoenix. ELKANN: The fact of having so many enemies unified very, very much the family. And I’m very grateful to my grandfather’s generation, and my cousins. Everyone was very supportive and everyone put personal money for the company to be stronger, and really to make sure that it had the necessary capital to go through this turnaround. So, the family was an incredible plus. HOFFMAN: And Fiat, now a family concern, broke free of its financial burdens and began a process of reinvention. ELKANN: We were working on the launch of the Fiat 500, which was launched in 2007, which was then the 50th anniversary of when it was first launched. And that was really the moment where things started to really tick and be positive. And 2008 was the record-earning year in Fiat’s earning history. HOFFMAN: 2008 also happened to be the year of a global financial meltdown — as I pointed out to John. HOFFMAN: Out of one frying pan into another. HOFFMAN: So 2008, which should have been Fiat’s banner year, instead was the year of Fiat’s fire sale. ELKANN: We went through a massive exercise of simplifying. We had too many companies. We want to be in less companies and we want to be in global businesses that can compete on a global scale. And the reduction of complexity definitely was of immense help. HOFFMAN: You had your own global upbringing. I mean, many countries, many languages, many cultures. How did you kind of map between which of the global opportunities, with which of the right businesses of the future to focus on within the family portfolio? ELKANN: So, I’ll answer you in two ways. The first one is, the reality is when you need to sell companies, you generally sell the good ones. And so, there are many businesses that we had to sell because you’re in no positions of choosing. The ones which we were left with, we then prioritized on the ones which we had the fair chance of competing on a global basis. HOFFMAN: If you’re an enthusiastic listener of this show, you may recall our episode with PayPal co-founder Peter Thiel. He encourages entrepreneurs to escape the competition by pursuing a wildly original idea. And you really should do that to the extent that you can — but to be clear, even the most innovative companies must imitate their competitors. In fact, Silicon Valley companies study their competitors quite intently. How do you build good server infrastructure? How do you build good data centers? What are you doing in terms of emerging technologies? Your competitors can give you a clue. So that kind of engagement with the competition is actually, I think, true for everybody. Those competitors can spur your own team to take surprising leaps. And it can be disorienting. To travel forward, you must travel backward in time — and rediscover the traditions that really constitute the core of your business. John has an interesting term for this experience. He calls it a return to the essence of what you do. ELKANN: I think it’s important to stick to the core and the essence of what the organization is. Try and listen to a very limited number of people, because everyone ends up having his opinion. So, as you go back to the essence, you somehow find a lot of the answers. And I think the truth-telling. Being very candid about the problems, being very open about the issues. And then building the confidence that it can be over—you know, you can overcome it. Things get resolved. So, one of the issues that had occurred was really that global markets opened up. And so, Fiat, we were really a diversified conglomerate with very strong market positions in Italy, faced incredible competition from outside. And the big change was really to open up to competition and not to fear competition, but really to engage with it. And that’s where Sergio, being a truth-teller, was incredibly important in allowing the conversation to happen, and having the organization be willing to engage and get the confidence that it could engage. And I think that’s really the big changer. HOFFMAN: Engaging with the competition will be key to any company that wants to rise again. You can only ignore the outside world for so long. And as John says, this takes organizational confidence. You have to believe in your abilities. And importantly, you have to know who you are. This often takes explicitly returning to the essence of the company. Radio Flyer is another example of how a legacy company can return to its essence. Remember Robert Pasin? He’s the third generation CEO of Radio Flyer, another “phoenix” company. They’ve been making little red wagons for a century. PASIN: When I came into the business about 25 years ago, the company was kind of at a crossroads. We were more of an inwardly focused manufacturer, which had worked great for a long time, but we missed the fact that consumer taste had changed, and these plastic wagons started taking away sales from our traditional steel and wood wagons, and so it was really a moment of beginning to redefine and reinvent the company. HOFFMAN: So there are two ways Robert might have responded to this competitive threat. He could have raced to catch up with the competition and rush into the plastic red wagon market. Instead, he asked himself a much deeper question. PASIN: What are we? Are we a manufacturer? Are we a brand? Are we a design company? PASIN: And what can we be the best in the world at? And ultimately, we decided that the thing that we had that was the most value was the relationship the consumers have with Radio Flyer. When we asked people to describe, what does Radio Flyer mean to them, all of these wonderful images would come up, like, “I was playing outside, the sun was in my face, the wind was in my hair, I was playing with friends and family that I loved, I was imagining that I could go anywhere, that my wagon was a race car, or a spaceship,” and so we really focused in on the fact that Radio Flyer is a vehicle of the imagination, that it can be anything you imagine it to be, and it can take you anywhere you want to go. So then we said, “Well let’s really focus in on vehicles.” And one of the things we found, when we started asking people to describe the Radio Flyer they had as a kid, they would often describe a wagon, of course, but they’d, many times, say, “I had a Radio Flyer tricycle, when I was a kid.” And we’d ask them to describe the tricycle, and they’d say, “Well, the tricycle was shiny, and red, and it had chrome handlebars, and it had a big bell on it, and it was Radio Flyer.” And we said, “Wow, that’s crazy, ’cause we never made a tricycle.” So we came out with it. And people point to it, and say, “I had that Radio Flyer tricycle when I was a kid,” and it quickly became one of our best sellers. And then we leveraged that product into becoming the number one brand in tricycles. HOFFMAN: Radio Flyer’s sales have quintupled since Robert took the helm. And they’ve gone on to make everything from little red scooters to little red Teslas, but only after Robert decoupled the wagon from the deeper idea of their essential design — little, red, shiny vehicles. PASIN: One of the things that really, my grandpa baked into the DNA of this company, as a designer and a craftsman, was that anything that we put the Radio Flyer name on has to be beautiful design, and it has to be really good quality. And I think those are the enduring values that have caused us to be able to not only survive for 100 years, but to thrive. PAULETTE COLE: I mean, literally, the store was a carpet store across the street with 27-inch carpet cut-up samples in all of the windows with dust three inches thick. We hadn’t really quite reached the creativity and design DNA of the world yet. It was really about getting value, and price, and selection, and quantity, and like Lower East Side kind of energy merchant, all about value, value, value. HOFFMAN: But Paulette did have a foundation. HOFFMAN: And she knew that she could take that foundation of quality and evolve it, over and over, to align with her values. Paulette left the company for about three years in 2000, and when she came back, she had a vision. HOFFMAN: And every time she asked herself those questions, Paulette thought of a new way to heighten the retail experience. ABC Carpet and Home is a standard-bearer in the industry, known for its unmatched curatorial eye. There are ABC stores in Manhattan, Brooklyn, and Florida. COLE: It was a tumultuous journey, and very, very challenging to change what is. I think always remembering where you came from, and having deep love, reverence, and respect for what was, but also really pushing forward and appreciating evolution, and being part of evolution. HOFFMAN: The more you think about this question — ”what are we?” — the more you’ll question the very foundations of your business. That’s a very hard question to entertain over the course of decades — and harder still when you’re also trying to grow the business. In fact, very few companies have managed to both scale tremendously and age gracefully. John has some sobering statistics to share with today’s fast growing, fast hiring companies. You may be a unicorn. But unless you succeed in hiring the next generations of managers to ask “What are we?” — then odds are, you’ll never be a Phoenix. ELKANN: Now, another interesting fact which I didn’t know is that of the oldest companies in the world, 90 percent have less than 300 employees. And the oldest company in the world is a Japanese hotel which was founded in 705, which is still family-owned in the 52nd generation. And the actual business, this oldest business, is a winery in Germany, which again, is family-owned, was founded in 862. And funnily enough, these are very small businesses. So, it’s interesting to think that the businesses that survived the longest are somehow niche business rather than businesses that grow very quickly. So, the more you grow, the more money you make, the more people you have, the more money you end up making as an organization. But at some point, like metabolisms, they end up being weaker as they grow. And by being weaker, they get affected and disappear quickly. HOFFMAN: I want to pause a moment to acknowledge this focus on the long-term —this heralding of the “phoenix” — isn’t exactly what my profession is known for. In truth, the vast majority of investors today aren’t particularly looking for longevity. They’re looking for instant gratification for quick returns. My friend Tony Tjan thinks deeply about this. TONY TJAN: The greatest concern in our capital markets right now, is short term-ism. HOFFMAN: Tony’s the CEO and managing partner at Cue Ball Group, a venture capital firm based in Boston. And he sees “short term-ism” as a real risk to future Phoenixes. TJAN: Short term-ism is causing great, great risk to the capital markets, and it is not allowing great quality to grow. We’re in a period of microwave capitalism, and most things that come out of the microwave don’t taste very good. HOFFMAN: I don’t recall anything in Greek mythology about a phoenix rising from the microwave. TJAN: The structural pressures of how capital funds have been put to work for compensation, and the culture that we are breeding — especially in many of the technology-based firms that I love and embrace — that the only way to win is to think fast, scale fast. HOFFMAN: Tony’s right. How many times have I said “start sprinting” on this show? He has a great counterpoint to the speed-first mentality we champion in Silicon Valley. TJAN: We joke that look, while a lot of people are looking for unicorns, we’re in search of sea turtles. HOFFMAN: He says Sea Turtle. I say “Phoenix.” Potato potah-to. The idea is the same. To last, you need the capacity to rebound and reinvent. TJAN: Look at the companies that’ve really, really lasted. They’ve needed times to stop, reflect, readjust, and that’s what building great, durable businesses and durable brands has been about. We have to go back to recognizing that companies and capitalism have a purpose much more than just capturing value. They are out there to do more than just making profit. Ironically, even if that was your objective, which was just to make as much money as possible, the way to do it is to focus on what will create durable cultures. That’s the only long term competitive advantage. HOFFMAN: Unicorn companies tend to be mission-driven. The founder articulates a vision of the future. The employees rally around that vision, which is translated into a mission statement, which is printed on posters and drummed into every new hire’s head until it’s borderline irritating. It’s a powerful, and somewhat predictable process. But the phoenix companies — the ones that can go the distance — they rise out of and soar beyond the founder’s vision. And part of the rebirth needs to happen organically across the business. There have to be enough diverse centers of strength — and enough decentralized lines of communication between them — to enable a rebirth to come from any direction. And this is a far more unpredictable process inside a company. John compares it to the evolution of a city. ELKANN: While cities, as they scale, develop and develop and develop into much stronger entities. And one of the reasons for this is that cities actually are multidimensional, which companies tend not to be. And so, as I was thinking about that, one of the secrets we’ve had is that we, somehow being multidimensional, in the sense that we’ve been in multiple businesses and multiple geographies. So, probably, one of the ways of lasting and scaling is by being able to really understand how to be multidimensional, and to really learn from how cities develop, evolve, and grow. HOFFMAN: Think about it: Radio Flyer went from little red wagons, to little red Teslas and tricycles, and any vehicle imaginable. ABC Carpet, went from carpets to home furnishing to a general feeling of hominess. It may sound like these new CEOs are losing focus. In fact, by rebuilding in new ways from the ashes of what came before — they’re securing the founder’s legacy. ELKANN: And you could argue that you have some very strong decentralized organizations, where they end up being multidimensional, and within each dimension, they’re focused. And somehow, they’re able to be more innovative and be able to be less rigid, like somehow cities tend to be, at least the ones that actually scale. HOFFMAN: Well, the interesting thing about the cities parallel is that on the one hand, cities are robust. I mean, the oldest organizations tend to be—or society entities tend to be cities, universities, religions. But one of the things that’s interesting when you think about that is cities tend to be generally strong and vibrant, but when they get into trouble, I mean, they get into serious trouble. I mean, Detroit, right? Other kinds of places, where all of a sudden, the city gets like—if it—if it—if the robustness breaks, then it’s in real trouble. ELKANN: Yeah. But what’s interesting about that, So, those cities were very much built only on one point of strength. But the ones that scale are the ones that are able to revitalize themselves, and somehow, that is the multidimensional notion. But if you rely only on one dimension, and the Detroit example is a good one, then you have one point of weakness. And you will—at some point, that will lead to trouble. There’s a good quote from the founder, my great-great-grandfather, which I think is very telling, which I’ll just read. And he went through two world wars, Communism, Fascism—and in those incredibly difficult periods of times, built an incredibly strong business that did a huge amount of good for the people working in it, and also for the communities in which it operated. And I think that that really stayed with the family and with the company as we went through that turmoil.